WELCOME to our rolling coverage of the eagerly awaited scuttling of the ex-HMAS Tobruk. Scuttling was due to begin at 10am however it was delayed twice - once to 11am and again to 11.20am. About 80 vessels of all sizes have arrived to watch the historic event from the 500m exclusion zone. AS OF 12.02pm, the ex-HMAS Tobruk has officially been sunk. 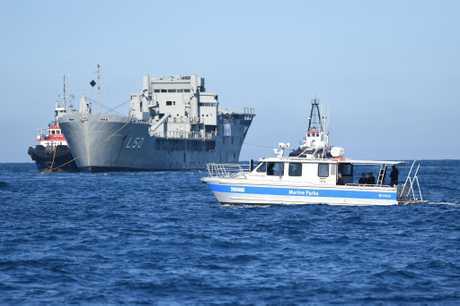 Fraser Coast Chronicle's chief photographer Alistair Brightman was on scene during the scuttling and said it took about 40 minutes for the vessel to disappear. The vessel turned on its side before it dropped below to oceans surface. Those watching it go down live on Facebook express concern that it might not have been done correctly. Vicki Elizabeth Avcin wrote: So will she level out or sit sideways? Was this how it was planned she'd go down? Terry Mcdonaugh: Listing pretty badly. The old girl won't be flat on the bottom. Someone blue or what ?? Francois van Teijlingen: This does not seem to have been a successful scuttling, or am I expecting to much? One would have thought it would at least have started sinking down before starting to list. She just bloody-well listed, rolled over and then sank. Did the port side fail to flood together with the starboard side? Will effort now be put in to right her on the seabed? THE Ex-HMAS Tobruk has now become a premier dive site after it joined Queensland's list of artificial reefs today. Formerly a navy ship, the Tobruk was flooded with water via pneumatic valves and will sit on the ocean floor in the Great Sandy Marine Park. Minister for Environment Leeanne Enoch said the ship had undergone extensive preparations to become a world-class dive site for the past eight months in the Port of Bundaberg. 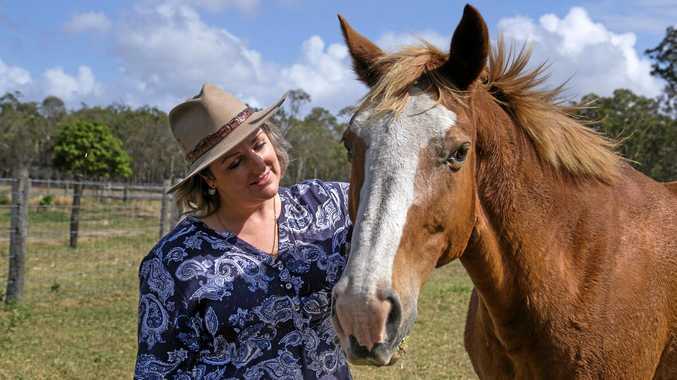 It was a joint project between the Palaszczuk Government and the Bundaberg and Fraser Coast Regional Councils. "This is an exciting achievement for our government and will add such a prestigious asset to our portfolio of tourist attractions," she said. "This unique dive site will appeal to divers of all levels and ability. By creating a significant tourist attraction, the scuttling of the ship is expected to boost the local economy by up to $5million per year and create jobs across the Wide Bay. It has generated approximately 20 temporary full-time jobs for locals throughout the production, towing and scuttling operations and will continue to have flow on economic benefits to major hubs such as Bundaberg and Hervey Bay. 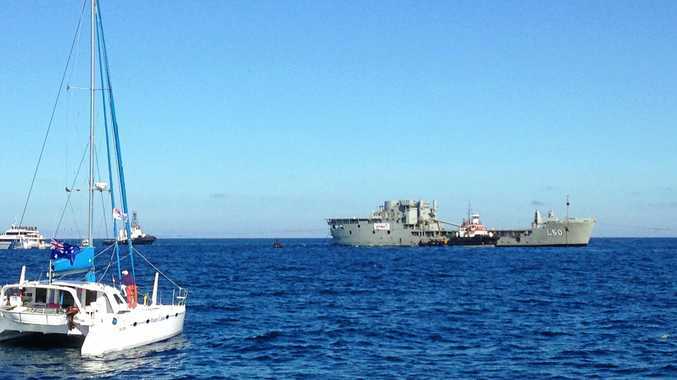 A DIVE instructor has described the moment the ex-HMAS Tobruk disappeared underwater. "It was actually really cool to see it," Chris Williams said. "It took a while for it to get started then it looked like it was lifting on its side a little bit and it didn't look like it was going back upright." The experienced instructor with Scuba World in Mooloolaba watched as the ex-Navy ship was scuttled today and said having been on the design panel, he was thrilled to watch the plan come to fruition. "To have been there from the start before it had all the holes in it was really exciting," he said. "I can't wait to put my gear on and explore (the Tobruk). "There's nothing like (diving) because it's like there's 0 gravity without any weight and you see all the marine animals." Mr Williams said it would make a huge impact on tourism and those who love to go scuba diving. "First of all, for the region it's fantastic what it's going to do for tourism and it's also going to help businesses," he said. "For divers it's fantastic because we get to explore a new wreck."